The University of Missouri is committed to ensuring that all members of the university community have the same access to Information and Communication Technology (ICT). Therefore, anyone who is responsible for making decisions about procuring technology products must consider accessibility as one of the criteria for acquisition. 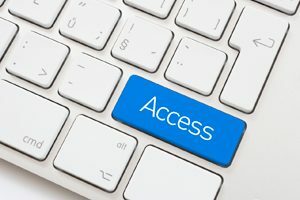 The university has adopted a Digital Accessibility of Communications and Information Technology policy and a procedure for evaluating the accessibility of ICT products. The ACT Center performs automated and/or manual accessibility testing. (We expect any ICT products we purchase to adhere to Section 508 of the Workforce Investment Act of 1998 as well as level AA of the Web Content Accessibility Guidelines (WCAG2.0).) Vendors are asked to submit an accessibility conformance report which is a completed ITI VPAT®. This form is used by the ACT Center to help identify accessibility risks. If the university enters into a contract with a company, additional accessibility documentation may become part of the final legal contract. See Vendor Requirements.